Your radiator is what keeps your car running cool and your engine functioning. If your radiator goes bad you could have a ruined engine in a matter of minutes. A steaming or leaking radiator should be taken care of immediately, but it does not always need to be replaced. Lang Nissan of Mission Bay in San Diego, CA is your source for radiators in your Nissan automobile. We also serve Kearny Mesa & La Jolla CA. In older cars radiators are made of metal and last forever in most cases, but newer cars have them made of plastic and they may need replacing eventually. We can figure out the problem and have you on your way in a short time. When they were made of metal, Radiators that sprung a leak could be fixed. Today they are replaced instead when they have problems of that nature. Overheating is one sign of a radiator going bad, and being low or there being sludge in the radiator are also indicators. If there is a puddle of radiator fluid under your car in the morning, that is another sign it may be going bad. If these things are happening it may be a sign it is going bad and it is a good idea to get it checked. Radiators are not something you can let go and hope for the best concerning your car. Cars can overheat at times for various reasons that may or may not be related to the radiator. The radiator’s job is to keep the water or coolant that is cooling your engine from getting too hot. If there is no liquid running through your engine as it runs, the engine will get too hot and lock up. If that happens you will have to get a new engine in addition to a new radiator. If you suspect a problem, it is a good idea to get it checked out. Radiators are not small, but they are not particularly difficult to change. The hard part is getting things hooked back up after installing the new one. It will take an hour or so for our certified Nissan Technicians to get the job done. You can relax in our comfortable customer lounge and use our vending machines while the work is done. 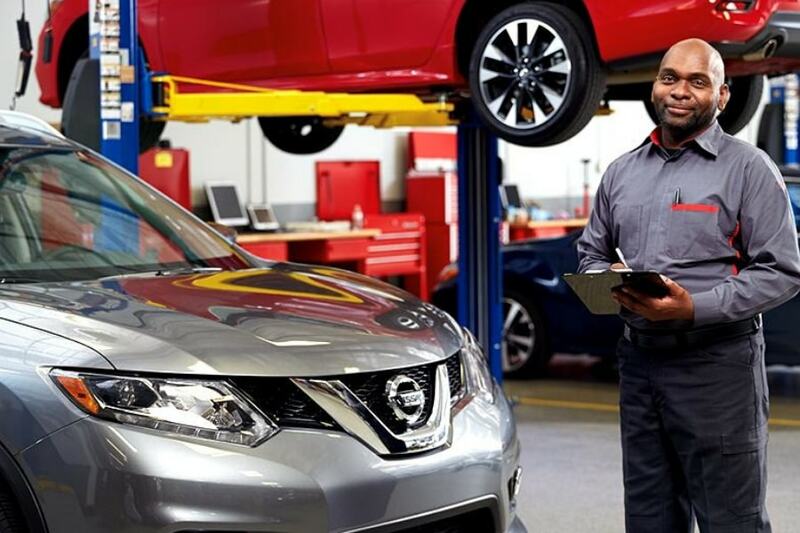 Getting it done at the dealership ensures that you will have genuine OEM Nissan parts installed on your vehicle. If you do have a need to leave, we have rental cars available. Our knowledgeable service advisors can help you get the work done in convenient to your schedule.